From February 2012 to May 2015, #BreadChat™ was a monthly Twitter discussion hour for bakers of yeasted, artisanal breads. During #BreadChat, we broadened and deepened our knowledge about bread baking, exposed ourselves to new concepts, and networked with fellow bread bakers around the world. On this page you’ll find transcripts and pinboards for each #BreadChat hour, along with information about the chat’s history and co-hosts. If you haven't done so already, create a Pinterest account. BreadStorm will follow you back and invite you to pin on all of the BreadStorm pinboards. Pin photos of your own bread baking to the pinboards. Be sure to caption each of your pins. Founder of #BreadChat, co-organizer of Chicago Amateur Bread Bakers, and co-creator of BreadStorm Software. The BreadStorm team in Chicago, USA maintain the #BreadChat webpage. Master Baker at Daylesford Organic, Gloucestershire, UK. Owner of the small bakery Greenfield Bakers, Friskney, UK. Editor and publisher of Bread Magazine, and home bread baker in Vantaa, Finland. During each #BreadChat hour, @AmateurBakers led the discussion through three questions related to yeasted bread baking, centered around a selected topic. Each #BreadChat hour consisted of 5 minutes for bread bakers to join the chat and say hello, 40 minutes to discuss the three questions, and 15 minutes of open discussion. @AmateurBakers was the moderator and had the responsibility to keep the chat organized and on-topic. #BreadChat participants were required to mark each of their tweets with the hashtag #BreadChat and the question number (Q1, Q2, or Q3) to which they were replying. @BreadStormBaker Thanks again to all the team. #BreadChat is so valuable: ideas, insights, stimulus, #breadfriends; all for better bread. #BreadChat @AmateurBakers Thanks! As usual funny, informative and broadening my baking mind! @BreadStormBaker @tiaingle @AmateurBakers #BreadChat For me in baguette dough winter is 0.33% (instant), now at 0.20%. If you enjoyed #BREADWEEK on #GBBO then have a peep at the #BreadChat tweeps. Feeling inspired by tonight's #BreadChat so it's on with the poolish and starter for an early start. 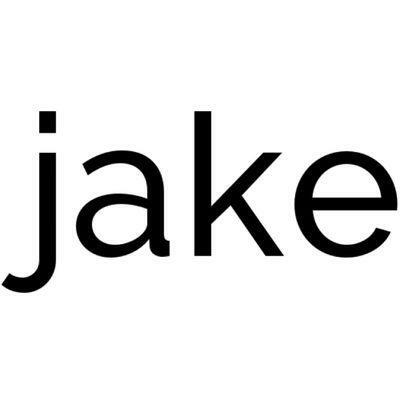 @makebyjake @Zeb_Bakes make sure you look at the Pinterest boards for #BreadChat Inspiring. #BreadChat Q1: Pre-shaping gives you one more chance to add strength to the dough before shaping it. Rest in-between prevents ripping. @BreadStormBaker You are doing good things in cyberbaking. I recommend #BreadChat to all my Artisan #realbread students. Hope everyone loves new #BreadChat page as much as we do http://www.breadstorm. com/breadchat.html Many thanks to @BreadStormBaker team for creating it for us! Hope everyone loves new #BreadChat page as much as we do http://www.breadstorm.com/breadchat.html Many thanks to @BreadStormBaker team for creating it for us! @MammaMiaPhoenix #BreadChat is the place to be! Discussing baking #RealBread. I just rejected 2 phone calls while engrossed here! …I heartily recommend #BreadChat to aspiring bakers of #realbread. Always interesting. Do love #breadchat. Spotted tweeps fr. UK, USA, Finland, Spain, Ireland, South Africa… any I missed? #BreadChat was begun by Jacqueline Colussi (@AmateurBakers) in February 2012, to bring bread bakers from around the world together to network and inspire one another to learn and grow in the bread-baking craft. Read the #BreadChat backstory in the April 2013 issue of Bread Magazine. January 2015 #BreadChat on "Storing Bread:"
Chemist, author of the book Bread Science, and author of the Food Chem Blog, Hillsborough, North Carolina, USA. November 2014 #BreadChat on "Stenciling:"
Co-owner of Haxby Bakehouse in Haxby, York, UK. Co-owner of Chicken Bridge Bakery in Pittsboro, North Carolina, USA. July 2014 #BreadChat on "Bread Pairings," and August 2014 #BreadChat on "Using as Little Yeast as Necessary:"
Head Doughpuncher at Easy Tiger Bake Shop and Beer Garden (@EasyTigerATX), in Austin, Texas, USA. February 2014 #BreadChat on "All about micro-bakeries:"
Owner of the home-based micro-bakery Karin's Bäckerei in Bar Harbor, Maine, USA and author of the blog Brot & Bread. Co-owner with Johannah Boggon of their home-based micro-bakery, Hitchin Bakehouse, in Hitchin, Hertfordshire, UK. 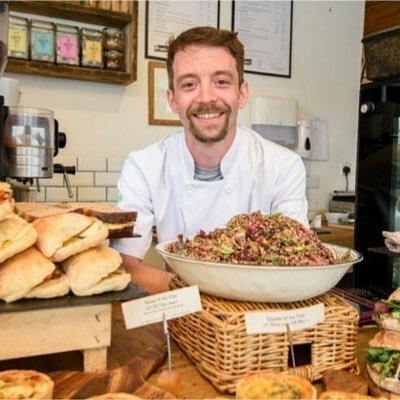 Owner of micro-bakery Hels' Bakehouse in Blanefield, just north of Glasgow, Scotland, UK. Owner of the home-based micro-bakery named Fabuloaf in Surbiton, Greater London, UK and a Bread Angel. Bakergirl began as a home-based micro-bakery in 2013, selling artisan breads to local villagers in Bloxham, Oxfordshire, UK. September 2013 #BreadChat on "Sourdough:"
Owner of The Bertinet Kitchen bakery and cookery school and author of the books Crust, Dough, and Cook and Pastry. Tweeting from Bath, UK. Founder of The Thoughtful Bread Company. Tweeting from Bath, UK. Co-founder of the Real Bread Campaign, author of the book Bread Matters, and founder of the Village Bakery Melmerby in 1976. Tweeting from Macbiehill, Lamancha, Scotland. August 2013 #BreadChat on "Flour variables of interest to the miller—and to the bread baker:"
Fourth-generation miller and bread baker at Central Milling. Tweeting from California, USA. Miller and founder of Carolina Ground L3C, a bakers' owned co-op mill. Tweeting from North Carolina, USA. Co-creator of BreadStorm™ Bread Formulation Software. Tweeting from Chicago, USA. Apprentice bread baker at Söderbergs Bageriet. Tweeting from Stockholm, Sweden. Browse the most recent #BreadChat transcripts at a glance. May 2015: Ovens for bread baking. Follow BreadStorm Software's board Bread Ovens #BreadChat on Pinterest. Follow BreadStorm Software's board Brioche #BreadChat on Pinterest. February 2015: Artisanal methods for extending bread’s shelf life. Follow BreadStorm Software's board Storing Bread #BreadChat on Pinterest. Follow BreadStorm Software's board Bread Stenciling #BreadChat on Pinterest. August 2014: Using as Little Yeast as Necessary. Follow BreadStorm Software's board Bread Pairings #BreadChat on Pinterest. Follow BreadStorm Software's board Crumb #BreadChat on Pinterest. March 2014: Shaping and braiding. Follow BreadStorm Software's board Shaping/Braiding #BreadChat on Pinterest. February 2014: All about micro-bakeries. Follow BreadStorm Software's board Micro-bakers #BreadChat on Pinterest. January 2014: Scoring and slashing techniques and tools. Follow BreadStorm Software's board Scoring/Slashing #BreadChat on Pinterest. December 2013: What's so bad about bread improvers? November 2013: The Effect Sugar Has on Our Loaves. October 2013: Thinking About Temperature When Mixing, Fermenting, and Proofing. August 2013: Flour variables of interest to the miller—and to the bread baker. June 2013: Baking Bread with Rye. 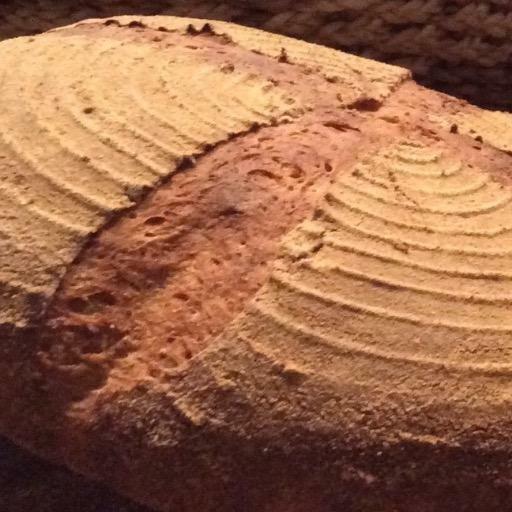 @jalaine shared formula: 100% Finnish Rye Bread. @AmateurBakers shared formula: German 85% Rye Bread, using a 3-Stage Detmolder Method. May 2013: Role of Steam in Bread Baking. March 2013: Breads that are boiled or fried. February 2013: Various types of yeast. January 2013: Adding large amounts of butter to bread dough. October 2012: Techniques for developing bread formulas. September 2012: "Hydration neutrality" and soakers. August 2012: How to tell when loaves are perfectly proofed. June 2012: Schedules for wild yeast cultures. May 2012: The path from amateur baker to professional. April 2012: Ingredients that interfere with gluten development. Many thanks to The Fresh Loaf for hosting the first year of transcripts, and to #SeedChat for inspiring the #BreadChat project.